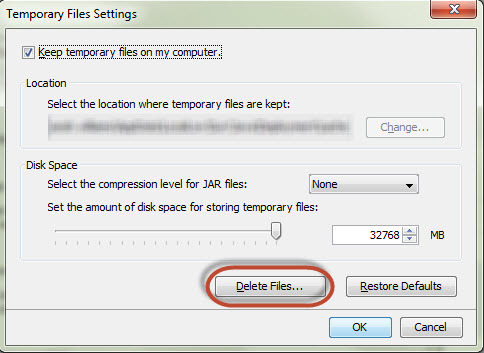 How to clear your Java cache to allow changes to take effect. Open Control Panel on your computer. 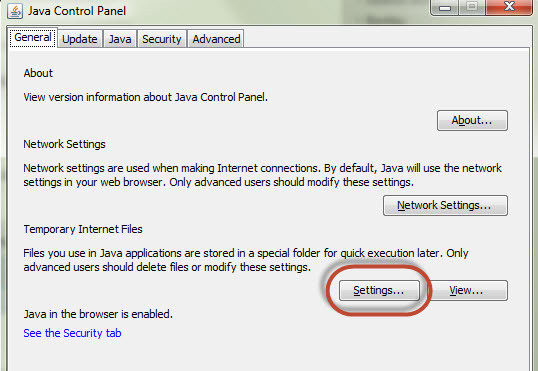 Select Java - this should bring up the Java Control Panel. In the Delete Files and Applications pop up, make sure Installed Applications and Applets isn't ticked, then click the OK button. This will take a little while to run, then the Delete pop up will close. Click OK on the previous two windows to close them too. Bentley's Technical Support requests that you please confine any comments you have on this Wiki entry to this "Comments or Corrections?" section. THANK YOU!